The perfect downtown location plus investment propertyone-bedroom APARTMENT over 2-car detached garage plus five other designated parking spaces. Property may be used for residential or professional business or live and work at home. Pettigru Historic District is a tree-lined neighborhood located within three blocks of North and South Main Streets and is home to many single-family residential homes & condos, professional businesses, churches, and the Poinsett Club with an EASY walk to Main Street, Cleveland Park, Falls Park, the Wellness Arena, the Swamp Rabbit Trail, and Publix. 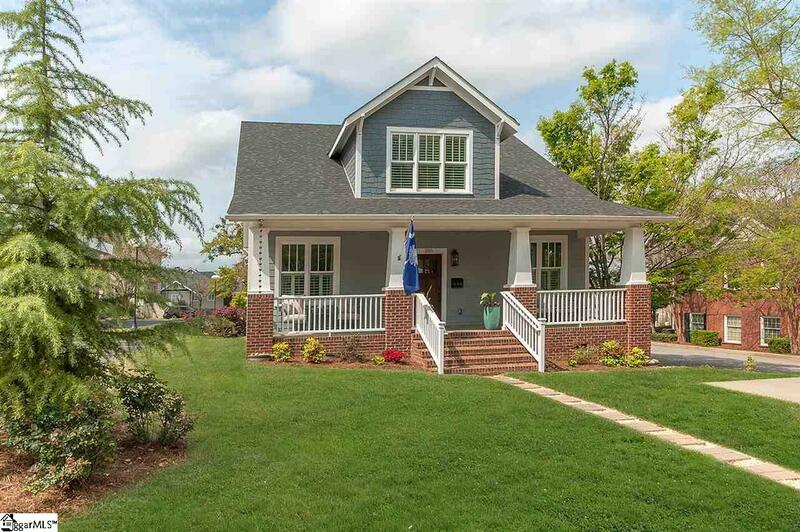 This two-year old craftsman was custom-built to fit the historic neighborhood with charming details including covered porches with copper rain-chain downspouts, hardwood floors throughout, craftsman trim & moldings, claw tub, plantation shutters, and crystal doorknobs. 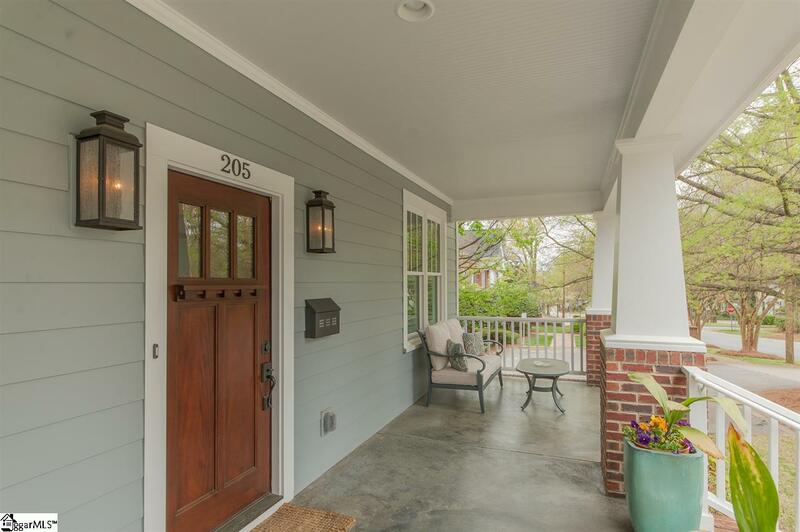 The modern features include spray-foam insulation, tankless water heaters, multiple walk-in attic areas, touch kitchen faucet, and a water line for your coffee pot or cappuccino machine! Custom closets and cabinets include a laundry pass-thru and a cat litter tray that can be converted to a dog bedroom. The ventless gas fireplace includes remote and will heat your main living area with unbelievable efficiency! Why pay for a condo regime when you can have this single-family home with low-maintenance yard? Dont miss this prominent location and investment opportunity! 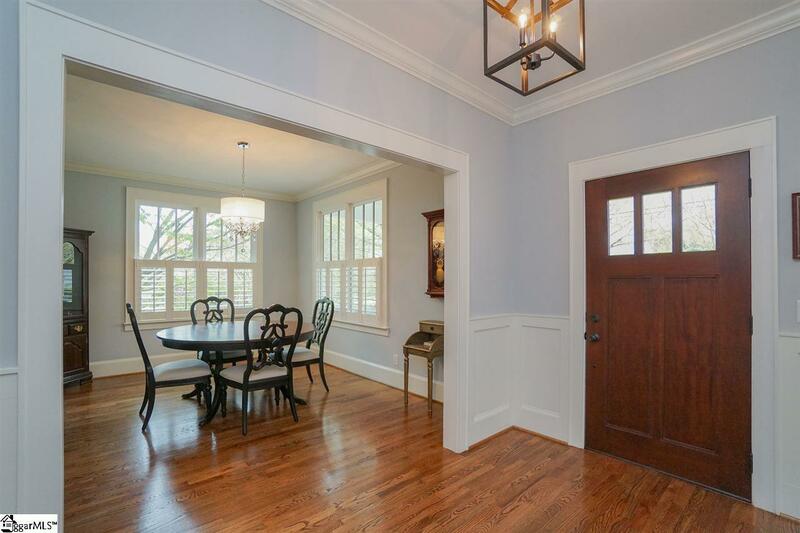 If square footage is important, please have buyer verify. Owner/Agent. 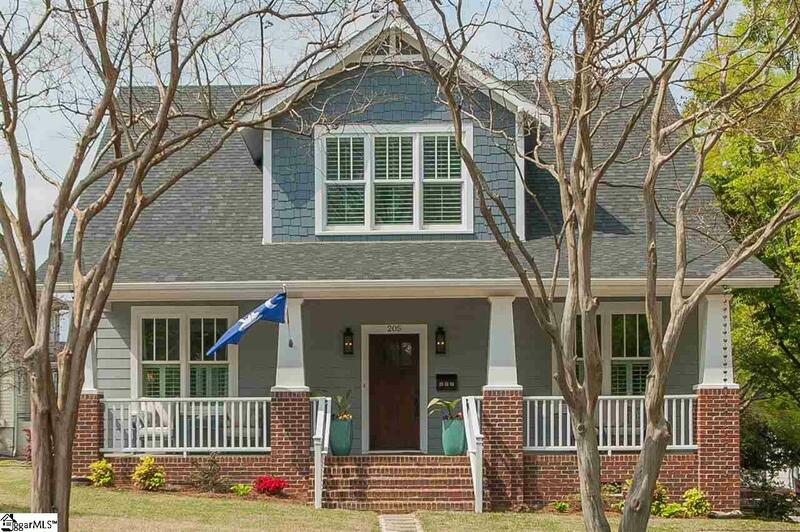 Listing provided courtesy of Charlotte Faulk of Marchant Company, The.